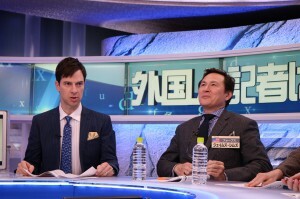 American and Harvard graduate, Mr. Patrick Harlan, has found success in Japan as a comedian, news commentator, university lecturer and author. He is popular with people of all ages. We spoke with him to find out his thoughts on his chosen country and profession. It’s been 23 years since I started living in Japan. Sometimes high school students I run into will compliment me on my Japanese, which is a bit strange. After all, I’ve been living here, speaking the language longer than they have! I actually didn’t have any particular interest in Japan before coming. Most of what I knew about Japan came from my high school history class. My world history teacher would say things like “Japanese people are samurai.” Japan’s post-war economic growth was receiving a lot of attention at the time, and the “Japanese way” and “Japanese management style” were mentioned frequently, so I thought that Japanese people were all diligent worker bees with samurai souls. It was one of my friends who ended up changing my life. He was studying Japanese, and around the time we graduated from university one day he suddenly asked, “Want to go to Japan?” I don’t remember a specific reason why, I just said yes. I ended up following him to Fukui prefecture. I quickly realized I was greatly misinformed about the country. I had thought the citizens were all serious and strait-laced, but walk into any local izakaya [Japanese pub], and you’ll find people of all ages chatting and laughing loudly. I had assumed Japanese people worked all the time, and was surprised to see them spending quality time with their friends and family, just like Americans. Usually when people think of Japan, they think of Tokyo. Instead of the cramped and crowded big city I had imagined, Fukui was a paradise of of natural beauty and delicious food, and it helped me fall in love with Japan. Perhaps I ended up staying in Japan for so long, despite having been born and raised in the US, is because my personality is similar to that of many Japanese people. We share a culture of respecting people’s opinions, speaking calmly and not putting people down even when we disagree. For some reason, many Japanese people consider themselves introverted and gloomy but in my experience people here are really cheerful. Expressions like “genki desu” [I’m happy and healthy] or “ganbarimasu” [I’ll try hard] pop up constantly in normal conversation. It’s is actually a really positive culture. Although my personality and lifestyle are largely Japanese after spending half my life here, I am often asked to critically examine the culture from the perspective of an American. For instance, I host a TV news debate program called Gaikokujin Kisha wa Mita! 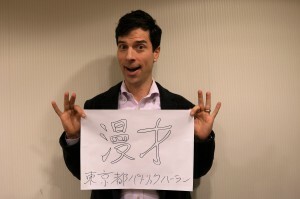 Nihon in The World [Through Foreign Journalists' Eyes! Japan in the World] on BS-TBS. In the show, which has been on the air since last October, foreign correspondents based in Japan explain how current events here are reported overseas. We’ve covered a wide variety of topics so far, including the Tokyo Olympics, the Abe administration, the “society in which women shine” initiative, whaling, and nuclear power. 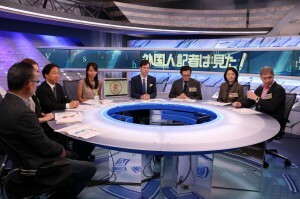 The goal of the program is to provide viewers with an international perspective to judge Japan’s good and bad points, the issues it is facing, and its potential. Listening to the journalists debate can be a great education and inspiration for our audience, and for me as well! As one example, when the foreign media reports on Yasukuni Shrine, sometimes it is referred to as a “war shrine.” People who follow English-language news are aware of that, but it is not common knowledge in Japan. In pop culture, Western reporters not knowing how to explain SMAP when they came up in the news was also interesting. Since they are an idol group, they were sometimes referred to as a “boy band,” but almost all the members are over 40 years old. Listening to these journalists having issues with word choices and cultural differences makes it clear that there are a lot of things in Japan that don’t really fit the global standard. We have journalists from many different countries who bring a non-American perspective as well, so it is a very eye-opening show for me. 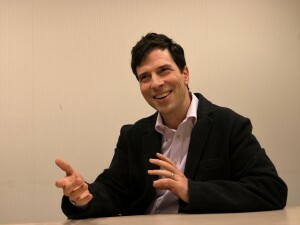 I also write a column for Newsweek Japan online. In it, I analyze news about Japan from my own unique (shall I say twisted?) perspective. The editorial staff told me I could write about anything I wanted, so I write about whatever news interests me at the time. There was a significant response when I wrote about the “My Number” system, comparing it with the similar Social Security Number system that already exists in the US, and explaining the pros and cons for Japan. I’ve also written several articles about the American presidential election, and it’s clear that people in Japan are interested in the outcome. As am I, since I will need to prepare for an influx of refugees, family and friends fleeing the country if Trump becomes president. As an island country, Japan is often called “insular” or “inward-looking,” but I’ve found that people here active seek out the opinions and input of foreigners as a way to learn more about their own country. Recently a series of scandals about money in politics has kept domestic news interesting. Amari, the former Minister in charge of Economic Revitalization, and Masuzoe, the governor of Tokyo, for example, have both been the focus of attention and high-profile investigations. Since some countries have even gone so far as to ban political donations, I think it would be best if Japan reconsidered its current system. Japan acts quickly once things are set in motion, so I think an innovative system could be created that could serve as an example for other nations. If a good system is created, perhaps we could even export it to the US, which has one of the loosest regimes in the developed world for regulating political donations. Another topic I’m interested in is the move to revise the constitution. The whole world has their eyes on Article 9, which renounces belligerency and the right to wage war as a means of settling disputes. Japan’s is the only explicitly peaceful constitution in the world. Ideally Japan will not revise but reaffirm its constitution and realize its special role in promoting world peace. Since I’ve been living in Japan for so long, I’m not entirely sure what the average American perspective of Japan is. But I get the sense that Japan is one of the more successful countries at disseminating information overseas. Everyone in America knows of Japan and has some understanding and impressions of the country, however vague. Japanese anime, food, and tourist spots are very well known. Considering that it’s a country on the other side of the world, that level of awareness is impressive all by itself. However, there are still many places in Japan that are not well known, such as my second hometown, Fukui. Most people would likely only recognize Tokyo, Kyoto, and Hiroshima. We should work to advertise other regions as well. I also agree with the push to promote Japanese craftsmanship. Many Japanese innovations have already been adopted, many products welcomed overseas, and I think the people of Japan can take pride in spreading their craftsmanship further. If I could introduce the world to one more unique element of Japanese culture, it would be manzai [a type of 2-person stand-up comedy], which I’ve dedicated my life to. The izakaya pub culture is pretty good to. They’re the both my favorite. A native of Colorado, USA, Patrick graduated from Harvard University with a degree in the Comparative Study of Religion and moved to Japan. After working as an English teacher in Fukui prefecture, he began his entertainment career in Tokyo and formed the comedy duo Pakkun Makkun. He now appears as both guest and host on news and variety shows as well as writing magazine and newspaper columns and books, and lecturing at the Tokyo Institute of Technology.